The magnetic beauty of Bali has brought people to keep on coming back for more. Its enchanting nature views of lush greenery rice fields, incredible sunsets, beautiful beaches, mouthwatering cuisines, tropical weather and luxury villas has made Bali a favorite destination not only for holidaymakers but also for those seeking to find permanent Bali accommodations or even investment opportunities. With Bali boasting a handful of luxury villas for sale, here are some benefits that you will experience from buying a villa in Bali. We know how Bali has been everyone’s go-to holiday destination. What if we say that you can now own your very own holiday home right here in paradise? There is an extensive range of Bali villas for sale ready to welcome you to your new home. Relax and enjoy the ample space all to yourself or share it with your loved ones. Own a villa in Bali and savor the pleasant of having a luxurious accommodation that makes you feel like home. Imagine waking up to views of rice fields or a tropical swimming pool all to yourself. Owning a villa in Bali lets you have complete and ultimate privacy in the middle of this busy tourist destination. For those bringing a lover along, wants to spend time alone, or even taking a group of friends or family, a private villa in Bali makes the perfect accommodation for those looking to spend quality time together. Want to have a private yoga class by your private pool? Or perhaps you feel like getting a Balinese massage in the comforts of your own villa? All is possible as you can now call those services coming to your villa instead. Services are dedicated and personalized only for villa residents. You wouldn’t need to share your concierge service or facilities with other travelers like how you would in hotels. Feel like hosting a sumptuous dinner in your villa? Simply hire a personal chef and let him cook and show off his skills right in front of you and your guests! Whatever needs you have, all will be taken care of when having a private villa in Bali depending on your desires and requests. Getting tired of sharing the pool with millions of other tourists or having to reserve your daybed with minimum charges? This will no longer be the problem once you bought one of those luxury villas on sale in Bali! As the island of Gods is one of the most popular tourist destinations in Indonesia, the number of increasing tourists has become a noteworthy value for real estate investment in Bali. According to a forecast published by Hotel Investment Strategies, Bali is expected to welcome up to 18.2 million tourists in 2020, which is a 26.3% increase from the number 14.4 million in 2017. This number includes 7.5 million international tourists as well 10.7 million visitors from domestic areas. This has become the main reason of continuous emerging numbers of villas, hotels, and resorts. 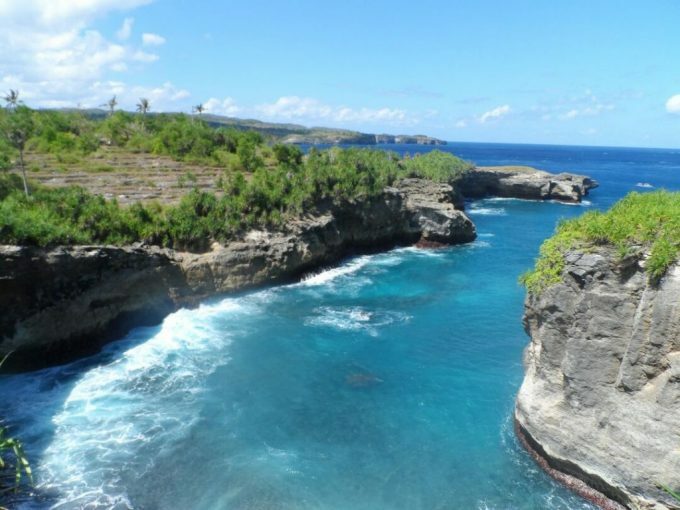 If you live elsewhere and would like to invest in this promising land, then buying one or even more of those Bali villas that are for sale can be the solution for you. Having your own Bali villa lets you transform your property to a source of passive income. If you’d like to share the joy and luxury of staying in your villa, you can benefit from short-term holiday rentals. Rent out your villa for a few days or even for a few weeks. Short-term rentals give so much flexibility to owners as they could also enjoy their own villa at certain times. Furthermore, you could even charge at a higher price during peak seasons. Pair your villas with five-star amenities and service and gain free promotions of recommendations and reviews from well-satisfied guests. Make your villa in Bali as a source of passive income and gain immediate and extra cash every now and then. 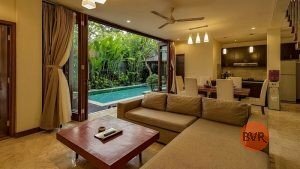 With a growing number of expats seeking to reside in Bali, the demand for long-term villa rentals in Bali has also increased. This could be an alternative to renting your villas for a short period of time. Long-term Bali villa rentals give you a number of advantages. First, your villa does not need to be located in a tourist area as long-term tenants normally look for properties that are quiet and peaceful, far from congested zones. 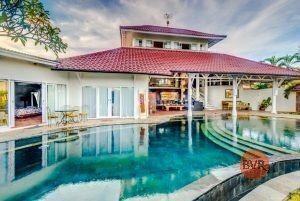 You may consider properties such as villas in Cemagi (not so far from Canggu), Pererenan, or in Umalas. Second, yearly rentals are commonly paid up front to ensure their length of stay. This lets you acquire a large amount of money at once. To ensure you gain a high return of investment, a thorough consideration when picking your Bali villas should be taken place. Locations that are high in demand will be an important key as well as having great maintenance and promotion. 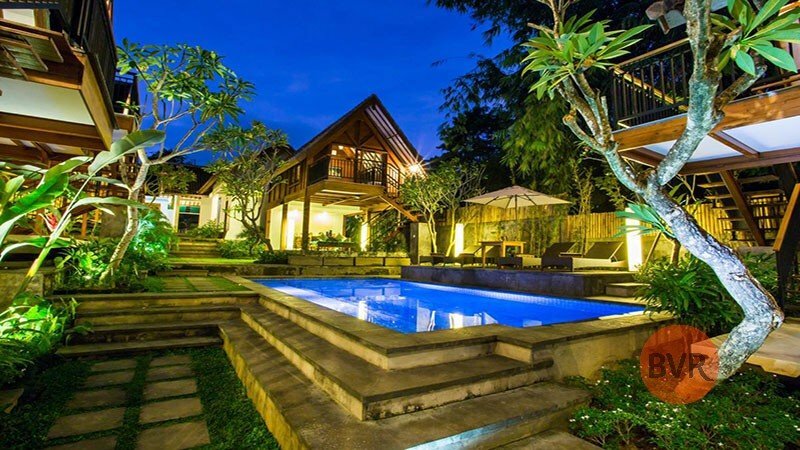 If you need any assistance in finding the best Bali villas for sale, BVR Property will gladly help you with its team of professional real estate agents.